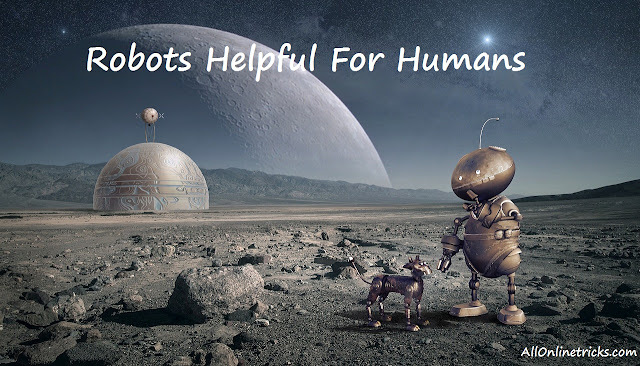 How are Robots Helpful to Humans [Must Read] Today post is very special because today we are going to talk about unique technology what is a robot and how does it work they will also know how many types of these are. Such questions are often done by people. Some even want to know if they can really work like a human being? In the films the robot has been shown in very advanced form. So what is the kind of robot scientists have made? There will be someone who will not be heard about the robots. The part has to be heard from every place somewhere but there will be very few who have knowledge about it. In today's article you will get answers to all such questions so now you will know what is the information of the robot. Robot is a kind of machine that works specifically based on computer programs or instructions. It is capable of doing many difficult tasks on its own easily. Robot is made up of a combination of mechanical software and electronic engineering. In it the role of everyone is almost the same. In order to control some robots the external control device is used and the control device remains in control for a lot of robots. They have nothing to do with size and size. This is absolutely wrong as the robot speaks to a person who looks identical to him. It can be of any form. It depends on his work. Why do scientists make the same work as it is supposed to take. If the robot that looks like a person is created then will it work as human beings? While these are also made of very large numbers they are used to create heavy engineering ie. large-scale machines. For example I tell about my company where I work. My company is an automobile company here are body parts of 2 wheeler and 4 wheeler. Large and small parts are welded to make big assembly which you see in the car. It would have been made up of several small parts. Who turns these small parts into bigger parts? So you must have understood that robots are not just human-shaped machines but also large automated machines also speak robots. So now let's talk about how they do this work. You will understand what the robot means. In the robot different machines are used to do all kinds of work. There are 5 main parts in it to get this done. In any robot there are physical structures. A kind of motor, sensor system, power giving source, computer brain that controls the body. Robots use piston, which help them to move in different directions. The program is created in its brain by inserting it. According to that robot brain operates body. It works and runs only on the basis of the written program. The second thing is to be changed by writing the program again. Not all robots have sensor. In a robot the sensor remains to hear and smell. So far you have come to understand what the robot is and now you will know how many robots are. Although they are very different they are divided into different parts depending on their work and on the basis of their technique. First of all know about the robot used on mechanism basis. Such robots are fixed in one place. They do all their work in one place. Their positions and movement direction are fixed and they are made just to work in that situation. Robots like stationery welding, drilling, and gripping are stationery robots. So let's know the use of robots. In the robot's world, when the hold of the wheeled robots became strong enough then the scientists worked hard to make it a better option instead so that it has some limitations it will be over. As the wheeled robot is to work he can only work in the surface surface. Wheel robot can not climb stairs, but if the foot should be placed in it of course it will climb. It is enough to get work done by putting a foot on a machine. But the way one survivor takes 1 to 2 years to learn to walk then can a robot be put on his feet? Yes this has also been possible. There are many such robots that are also running. Wheeled robots by the way the robots that walk along the wheels on the surface. Comparing such robots, doing programming and design is easier than in legend comparison. But they can only move on the flat surface. Flying robots are such robots that are capable of flying. It also has small size and non-human robots, which can do a lot of work. Such robots are used in search and rescue missions. They can easily find people stranded in any natural disaster in large areas of land. When a large system works together with small robots it is called swarm robots. The ability of many robots to work they are based on interaction with each other and environment. Now let's know how many types of robots are based on the work. They have been used very much in the medical world. One is being used by one of the robots. Nowadays with the help of Robot Doctor is also using the artificial robotics hand operated hands. And in the medical world it has emerged as a revolution because doctors stay away even while saving people's lives. Robots done in military are very helpful. They are also used for safety. These can be easily accessible in places where it is difficult for humans to go. They work in any area to find the enemy's place. Today in every part of the world things used by humans in the normal life are made. There are many things like food items, clothing to wear, and trains that are made in industries. And in these industries robots are also used. Robots have been created based on different types of uses in the world. More recently the third version of the robot named Cheetah has been brought in front of the world. It's just as fast as a leopard and it specializes in jumping, jumping and walking and running in every way. This is one of the most developed robots in the robot like the animal. 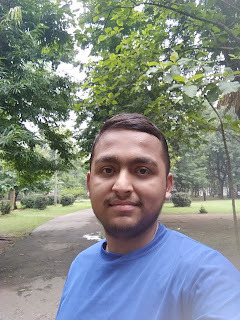 Even the robot that looks like a human has developed very well developed forms which are special in walking, getting up, sitting and working as they look like humans. Even the Honda-made ASIMO specializes in kick kicking football. Friends today you have learned a lot about Robot. If you have any questions then you can ask. And if this post is good then share it as much as possible.